Want your kids have a good memory? Well, Try our number game with your toddlers or kids. 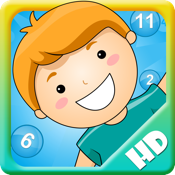 It makes easier to learn numbers and it's fun to play together! Our game starts from 3 numbers and ends in 15 numbers. It helps kids to use their right hemisphere of the brain.